How do you cool down on a hot day? Discover refreshing coffee drinks. - Fore. Living Solutions. How do you cool down on a hot day? Discover refreshing coffee drinks. The temperature climbs above 30 degrees Celsius and saying that it’s warm can be considered quite an understatement. It’s hot. It’s high summer. The sun is everywhere, and you keep looking for shade. You dream of air conditioning. Your brain cells slowly cease to function properly. But, as always, coffee is what can save you. Of course, we are not talking about the classic black coffee or one with frothed milk. Instead, try drinking it with ice cubes, in a refreshing and unique way. Meet Nivona’s cooling propositions. It turns out that iced coffee does not have to necessarily include milk. On the contrary! The unique blend of ingredients allows you to prepare a refreshing coffee full of tasty surprises. With your Nivona CafeRomantica 758, you can prepare a delicious Tonicpresso that will be as strong as you want it. The device is equipped with My Coffee functionality that enables you to program coffee recipes that will suit your palate. Additionally, after you quench your thirst with a refreshing beverage, you can press one button and enjoy a delicious classic cappuccino thanks to the OneTouch Spumatore system. 1. Start with choosing the right glass size – it be about 250-300 ml. 2. Put 5 to 6 ice cubes in the glass. 3. Now it’s time for a refreshing twist. Add a slice of lemon and lime. 4. Grab the tonic (or carbonated lemonade) and pour it into the glass. 5. 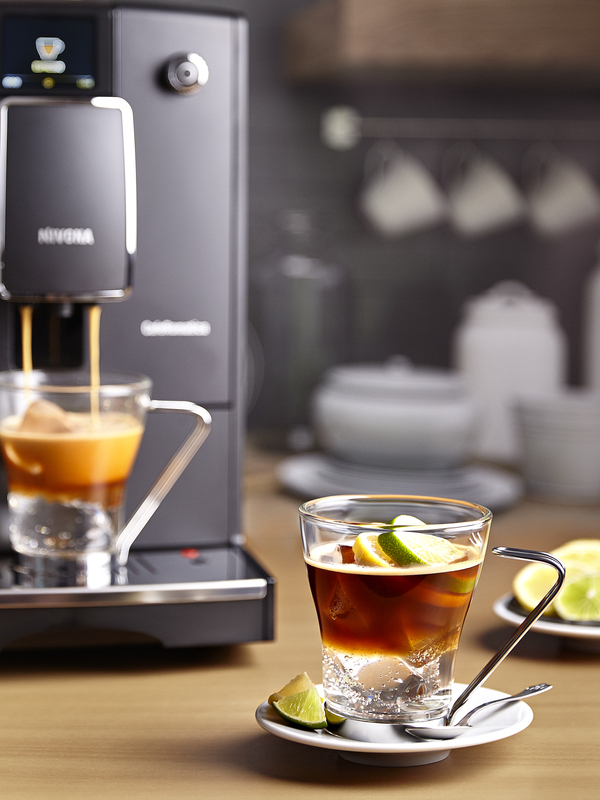 Add the fresh, aromatic espresso from the Nivona CafeRomatica 758 coffee machine. Thanks to the system enabling you to choose the strength of your coffee, you can decide for yourself whether you want it to be mild or stimulating. As for the beans – go with 100% Arabica. We created the Coconut Frappe for fans of iced coffees with milk. 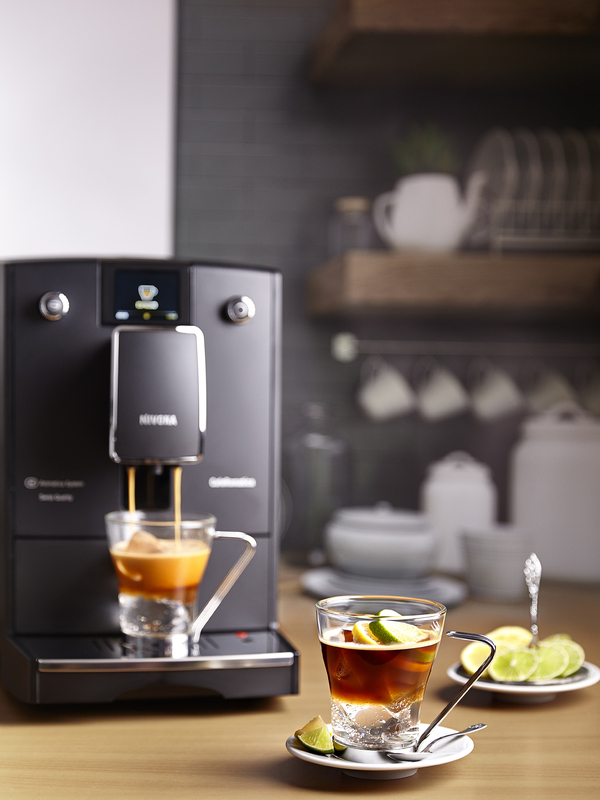 With the Nivona CafeRomatica 768 coffee machine, this unique recipe gains some additional flavour. The device is fit with the Aroma Balance system, which enables the user to obtain three different aroma profiles: dynamic with sour and fruity notes, regular bitter aroma with sweet and bitter twist, as well as intense with a strongly noticeable note of bitterness. Thanks to this system, the coffee you make can taste differently every single time. You can also decide how strong you want it – choose one of five intensity levels and make it exactly how you like it. 1. Put 5-6 refreshing ice cubes into a 250-300 ml glass. 2. Add 150 ml of coconut milk. Remember, it needs to be cold! 3. Now it’s time for an aromatic espresso. When choosing beans, go for 100% Arabica. When using the Nivona CafeRomatica 768 coffee machine, you can use the AromaBalance function and decide what aroma you want to go for with your coffee. Thanks to the system enabling you to choose the intensity, you can choose whether you want your espresso to be stimulating or rather relaxing after a long day. 4. At the end, sprinkle your beverage with grated dark chocolate to highlight the unique taste of coconut coffee. 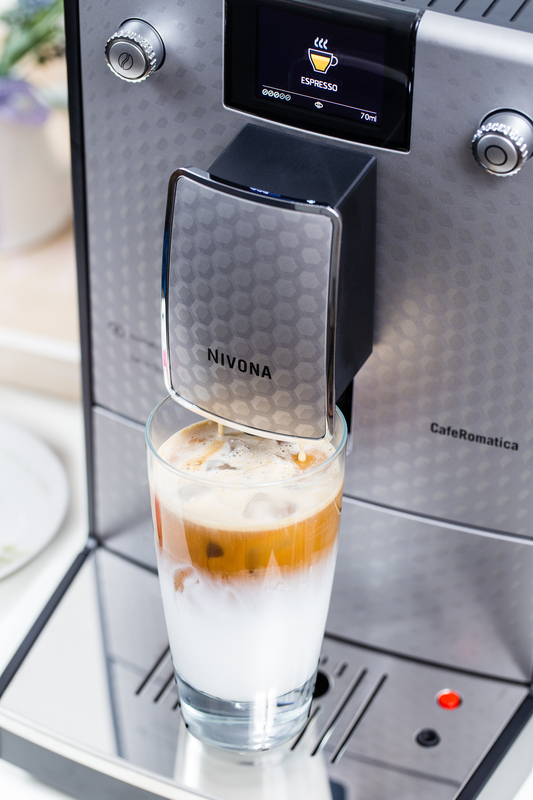 Nivona coffee machines enable you to decide on the intensity of your refreshing coffee. Get inspired and go with a unique recipe on hot days, which tastes as if it was prepared by world-class baristas. Feel the energy and the pleasant chill, while being able to customise the flavour and aroma to your individual needs. The recipes were developed by Marcin Rusnarczyk – Polish Barista Champion and Nivona brand expert.